The centenary of Nelson Mandela’s birth continues to be dominated by celebration of a person, the character of whose greatness is not probed. There are areas of great complexity attaching to Mandela’s life that are hardly examined. Mandela is justly admired and honoured but we owe it to him to interrogate his legacies, to make sense of these and form opinions from which we and others can learn. (This article is part of a series on Mandela’s leadership. Previous contributions this year, are to be found at: http://www.polity.org.za/article/nelson-mandelas-obstinacy-mandelas-leadership-part-2-2018-06-11/searchString:Raymond+Suttnerand http://www.polity.org.za/article/nelson-mandelas-leadership-part-1-the-early-years-2018-06-04/searchString:raymond+suttner and http://www.polity.org.za/article/how-do-we-understand-nelson-mandela100-2018-05-29/searchString:raymond+suttnerand http://www.polity.org.za/article/imagery-and-identities-in-mandelas-leadership-part-3-2018-06-18/searchString:Mandela+imagery). When we assess Mandela’s gender politics and practices, we are asking how he related to women and other men. We are asking how, within the social milieu in which he grew up being a boy, en route to manhood was understood and how he came to understand being a man at various stages of his life. Did he see masculinity as requiring toughness and aggressive displays of strength, as required in the war games that he played with other boys, excluding girls in his youth? How did he understand being a man and how did it change over time? How did he relate to women, especially those who were married to him? Were his wives consigned to the home and subjected to his power? To answer this let us consider the words of Evelyn Mase, his first wife. In the 1950s when Mandela was first married he also became a public figure, both as an attorney and an ANC leader. How did this affect his relationship to Evelyn? Important evidence on his relationship with Evelyn is presented in neglected interview material of Fatima Meer, in her biography, Higher than Hope. Rolihlahla We Love You. Nelson Mandela’s biography on his 70thBirthday, 1988). In Evelyn’s words, Mandela did not follow patriarchal conventions and regard his wife as being there to minister to his needs. He often did the shopping, cooking and caregiving. Adelaide Tambo speaks of other wives envying Evelyn who had a husband who was so involved in home making. Evelyn also tells Meer of the tenderness Mandela displayed towards his children with whom he often played and bathed. He encouraged Evelyn to participate in trade union activities and also to advance her qualifications by training to be a midwife. His marriage to Winnie Madikizela was interrupted by his having to go underground, being on trial and then for decades in prison. Winnie was already a professional social worker. Mandela encouraged her to pursue political activities, although he was anxious when she was pregnant and later when he was in prison and she suffered greatly at the hands of the apartheid government. Winnie carved out for herself a distinct political role, which included illegal and militant resistance against the apartheid regime. Some of this became controversial with Winnie being convicted of kidnapping. However, Mandela, after his release stood by her in this trial. He was loyal to her. He recognised her contribution and what this had cost her. Some disagreed with Mandela accompanying Winnie to court every day, but Winnie had not been convicted and she was not convicted of some of the charges she faced. Not to stand by her would have been to fail to recognise her public role in the struggle, and to fail to be there for her, as a husband, even if he may have disagreed with some of what she had done. In the case of Graca Machel she obviously had a well-established public persona before Mandela met her and that remained and widened. Mandela was quite comfortable with Graca’s independent public presence. Mandela’s masculinities: worthy of emulation? In his early life, as he writes in Long walk to freedom, what it meant to be a man had a measure of clarity, being socialised into expectations of what manhood entails, referring for example to the gendered division of labour, what was “women’s work” and what work was reserved for men. He also learns from an early age what comprised the qualities of boyhood, leading to manhood. He refers to what he derives from constantly keeping company with boys and learning behaviour expected of boys, and norms and skills acquired through relationships between boys. The Thembu were a conquered people but retained and celebrated a warrior conception of masculinity and boys played war games in preparation for becoming men. The key moment of transition, that of initiation, included the significant practice of circumcision. Mandela describes this as a trial of strength for one was not supposed to cry out in pain, but instead shout, “I am a man”. (Mandela admits that he felt such pain and failed this test in being slow to shout the words. In so doing, as an elderly man, he gives his readers, who may be young boys permission if they are to be circumcised to also fail this test of strength). When Mandela came to the Witwatersrand in 1941 at the age of 23, he still retained an affinity for toughness, as exemplified in his regular training as a boxer, depicted in many accounts of the time, which assimilated Mandela’s boxing imagery to that of his political work, seeing him not just as a freedom fighter but one who would “beat up the boers”. (http://polity.org.za/article/imagery-and-identities-in-mandelas-leadership-part-3-2018-06-18/searchString:Suttner+Mandela). Many times, he was reprimanded for statements that were out of line with the non-violent struggle pursued by the ANC at the time. Mandela nevertheless became the leader and one of the founders of umKhonto weSizwe. He was imprisoned with the image of a military leader, unrepentant and ready to fight to the end until the country was free. But, decades later, when people’s resistance to apartheid was difficult or impossible to contain, the apartheid government, in 1985 offered Mandela his freedom on a conditional basis, the rejection of “violence” a condition that he spurned, because he saw the armed struggle as a response to the violence of the government. He also set down conditions needed to secure peace, in a letter read by his daughter Zindzi Mandela to a UDF rally. He made it clear that he was not able to make agreements while being a prisoner and that he was subject to the discipline of the ANC. Mandela did not see military activities as desirable in themselves and grasped the opportunity to seek peace, through reaching out to initiate talks with the apartheid regime. As indicated, this was controversial. 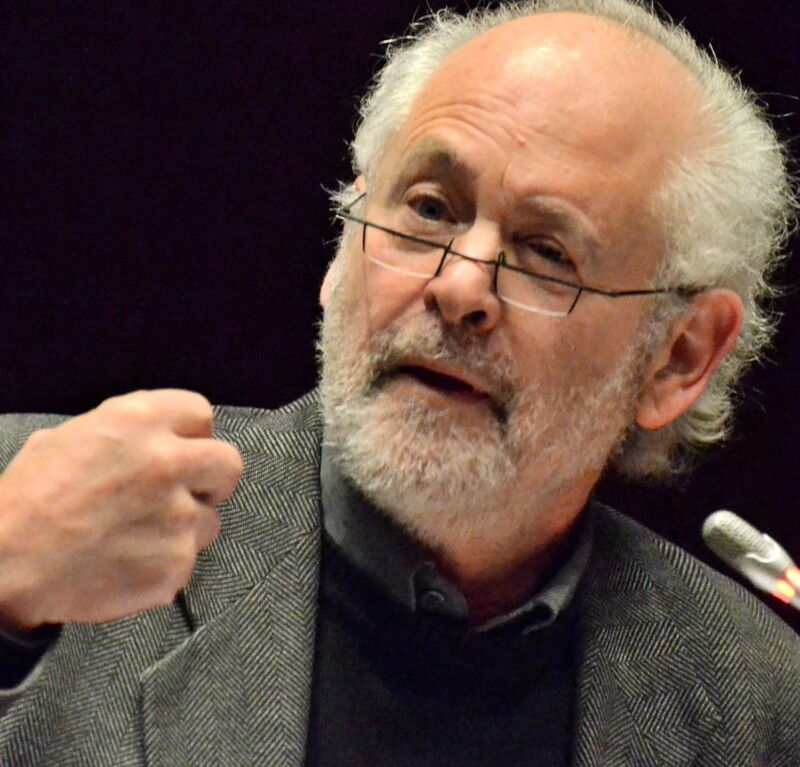 (http://www.polity.org.za/article/nelson-mandelas-obstinacy-mandelas-leadership-part-2-2018-06-11/searchString:Raymond+Suttner). When it became clear that there was a stalemate, Mandela opted for negotiations. He did this in the midst of violent conflict, between the apartheid regime and the forces for liberation, in his case the ANC and its military wing umKhonto weSizwe and on the other side the apartheid forces, primarily the SADF. That conflict and the ranging of forces on both sides was part of the violent history of conquest and resistance in South Africa. Opting for peace had great cultural and gender significance in South Africa given the scourge of violence that has always been a feature of South African life. It was not part of Mandela’s arguments that this would provide an alternative model of masculinity. But when the leader of the ANC’s military wing advanced peace, through negotiations, it did have considerable significance, insofar as Mandela acted out an alternative model of masculine conduct. The overwhelming part of the history of South Africa was that of violence, through which the oppressed majority had been dispossessed and denied rights. Taking up arms was an act of self-defence and honour, but it was nevertheless an act within the understanding that the conflict and indeed the war would be resolved through the use of force, force of arms, not by logic and reasoning in order to convince contending parties. Brave young black men and women were for the first time trained and given arms in order to defeat the apartheid regime. They had answered the question that the first announcement of the formation of MK had posed, that a time would come when a people had to decide whether to “submit or fight?”. This was after the ANC had spent decades exhausting all alternative forms of engagement and resistance. MK launched some significant campaigns, especially attacks on police stations and the military base at Voortrekkerhoogte, the blowing up of Sasol and other acts. Many were proud and inspired and over-estimated the military power of MK, assuming that the apartheid forces would be defeated on the battlefield. Mandela, like Oliver Tambo and some others knew this was not possible and sought a way of ending the bloodshed, by trying to reach an agreement with “the other side”. The entire history of the ANC had been replete with attempts to sit down and resolve differences peacefully. Much of this is recounted in Nelson Mandela’s statement from the dock in the Rivonia trial and instances where the then Prime Minister did not even bother to answer correspondence from the ANC are mentioned in his earlier 1962 trial, known as “Black man in a white man’s court”. In fact, prior to the Defiance campaign of 1952 and on various other occasions, letters were written to the apartheid regime asking for a new national convention or some other form of meeting and these were always spurned. When Mandela acted to secure a negotiated settlement, he simultaneously broke a pattern that had its own logic. Force had to be used previously and was more likely to work since there had not been space for arguing the logic of one’s position. In this new situation, the logic of negotiations depended on argument, attempts to bridge gaps in understanding, opening up attempts to understand one another’s concerns. Violence was part of the structural and legal foundation of apartheid South Africa, dehumanising and brutalising the population. Warfare always means attacking what becomes an indistinguishable mass of people, whose individual humanity would be extinguished through bullets. Negotiations opened up a new way of engaging. That there were negotiations and limiting of the military conflict, did not mean that other forms of popular resistance would be curtailed. In fact, these needed to be intensified in order to strengthen democratic demands. Whether or not Mandela saw his actions to change the mode of relating to the apartheid regime and vice versa as having a gender component, it did have that. To change patterns of conduct from violence, to sitting down and trying to find common ground, wasto take a step towards re-humanising the conflict in South Africa by providing an option other than violence. This is not to suggest that the oppression and resistance had been restricted to armed activities, but that this component on which so much reliance was placed, needed to be relocated to the background, in order to secure peace, which is a condition for human respect. In this context, we need to refer again to how Mandela conducted himself in this period, when talks started. I have referred to the toyi toyi -a war dance, inciting people to “shoot to kill”, to “hit the enemy” and so on. (http://www.polity.org.za/article/imagery-and-identities-in-mandelas-leadership-part-3-2018-06-18/searchString:Mandela+imagery). As indicated when Mandela entered dancing groups, his gestures were inclusive and unthreatening. He suggested a different way of relating to those who were adversaries in his self-representation and in other modes of conduct during this period. It is not far-fetched to refer to this as gendered, especially because we are talking about Mandela, who epitomised the heroic male warrior, who pre-eminently symbolised the MK leader and fighter, joined later by people like Chris Hani. On this imagery many others had modelled themselves and their notions of masculinity. For Mandela to publicly reconceive how he acted as a man was a complex message to others. At the same time, in this period some of what had been part of Mandela’s privateselfbecamepart of his public persona. Reference has been made to his tenderness towardshischildren.OneofthefeaturesofMandelaaspresidentandretiredpresidentwashisobviouslyunaffectedloveandgentlenesstowardschildren.Whatweseehereishowaspectsofhismasculinitythathadbeensubmergedunderthetoughimageofguerrilla leader and uncompromising trialist were foregrounded, in the context of hischangedlifeconditions. The Mandela who was released from prison was remembered as a dignified, yetangryman. The Mandela who emerged evoked gravitas. He wouldoftensmile, yet the angry Mandela had not disappeared and could re-emerge whereconditionsmade that necessary, as we have seen in previous articles, when he felt betrayed by apartheid leader, FW de Klerk. Looking closely at Mandela we see the significance of considering the way his conduct was gendered and how important masculinity was to his identity, albeit changing over time. This requires careful examination, especially in the times in which we live. In general, however, when we review the development of Mandela ‘the man’,we see a series of journeys, where he constantly changes, but without abandoning everything that he has been before. Even in his last days he remained attached to his Thembu identity and was buried near his place of birth. The Mandela who found peace for the country also found peace with himself as a man.